Fiberglass corrugated roofing panels allow diffused light to enter a structure while providing a strong but lightweight covering for your outbuilding. The corrugation of the panels provides increased strength over flat sheets. Cutting fiberglass roofing panels require tools capable of cutting at higher speeds without cracking or splintering the edges of the panels. Both hand and power saws used to cut wood will cut through a fiberglass roofing panel with the correct blade and with the proper amount of pressure. 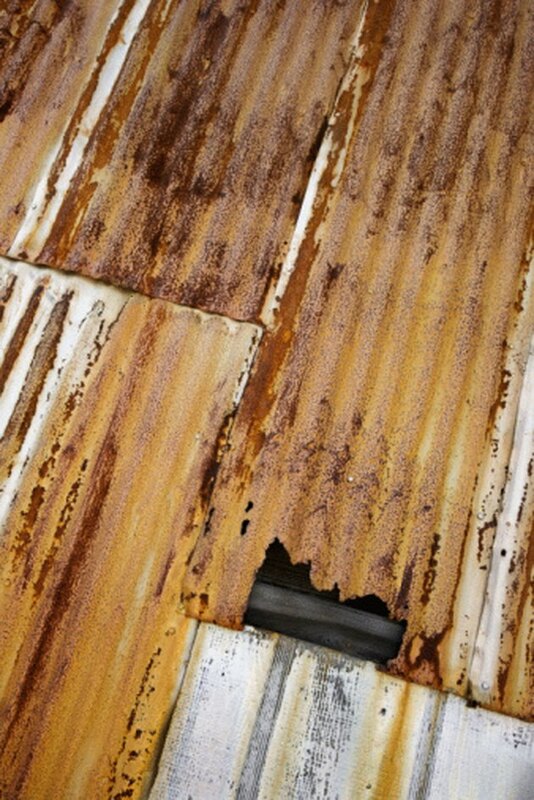 Corrugated fiberglass roofing panels resist corrosion better than metal panels. Pull a tape measure along the panel and place a mark on the panel with a pencil where you need to cut it. Place enough marks to make a reference line across the panel. Align the plywood blade of a circular saw with a pencil mark located near one edge of the panel. Pull the trigger of the saw to start it. Push the saw slowly toward the edge of the panel to start the cut. Push the saw at a steady pace across the panel. Allow the panel to bounce while you cut to avoid cracking the fiberglass. Increase the speed you are pushing the circular saw when you near the end of the cut. Set the cut piece aside. Pull a utility knife along the cut edge to remove the cutting burr from the fiberglass roof panel. What Saw Blade Will Cut Fiberglass Panels?